It is Friday afternoon here, first weekend of month of March is approaching, and why not write something more fun, not about software, telecoms, databases and other boring stuff. All started with the hamster. We decided that kids need a pet. So we started from one of the smallest options available - a hamster. 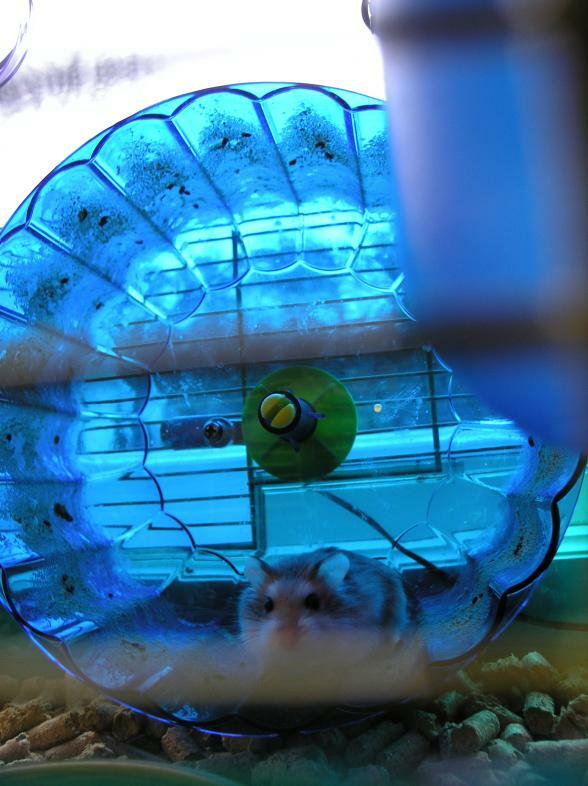 It was regular, small, tri-colored rodent, interested only in three things: eating, sleeping and running in his wheel. And running was his passion, he could run any moment, day or night, we could hear the plastic wheel making noise while spinning. Sometimes he did run few seconds and then rushed to get some food, sometimes he ran longer periods in a row. Those who have or had hamsters, will know what I am talking about. Then the idea came to my head: how about if I measure total distance he runs, by adding simple bicycle speedometer to his running wheel? That turned out to be very simple: I attached a magnet to the wheel, sensor to the cage wall bar, recalibrated the speedometer to take in account diameter of the wheel and done. We started curiously observing the readings same evening, wondering what number will come up next morning. To our great surprise he ran more than 10 kilometers that night and total of 19km in first 24 hours! Good distance for such a small animal. Later we observed that numbers were not consistent: there were days he could run more than 20km, and there were days he did run less than 4...5 kilometers, with no obvious reasons. Later we extended the idea with more features: let's allow people to participate with their own hamsters. We could develop and supply small kits which would include a webcam, a speedometer, and a small adapter to connect to the Internet. Then our betting portal would have many video feeds with hamsters instead of one, and people could bet on more hamsters per day instead of only one! We would have created a real hamster online community, a facebook for hamsters.